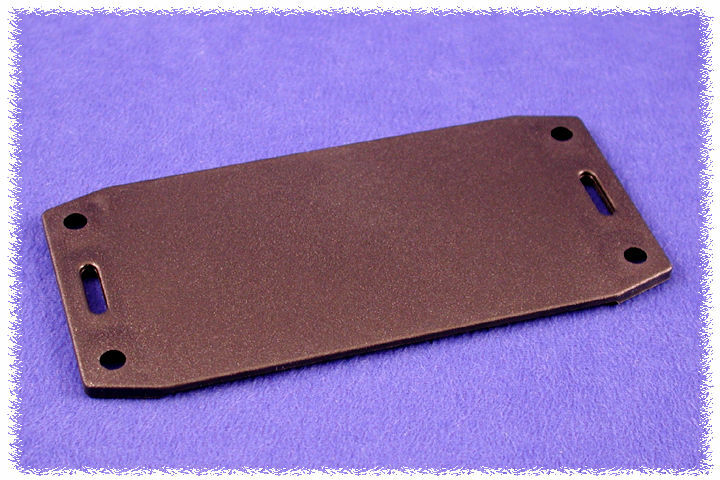 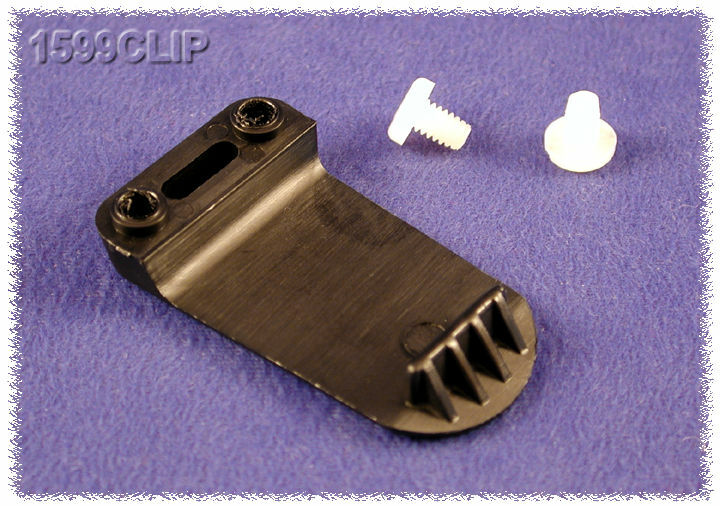 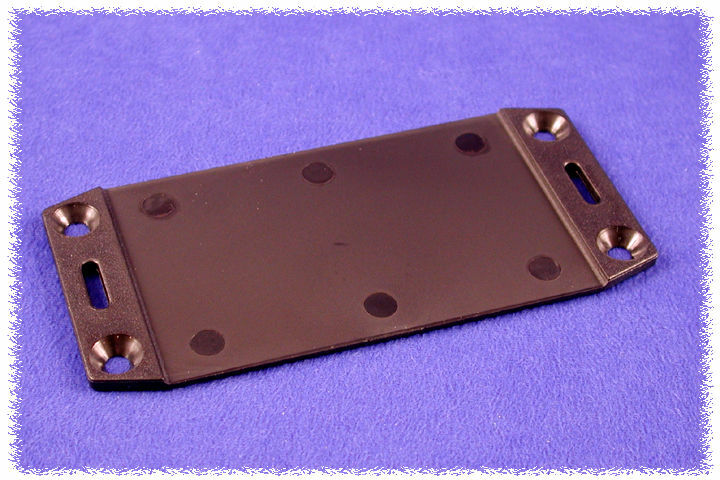 Ideally suited for mounting printed circuit boards horizontally. If you prefer vertical board mount (using our internally ribbed enclosures) - link to our 1591 FL series). 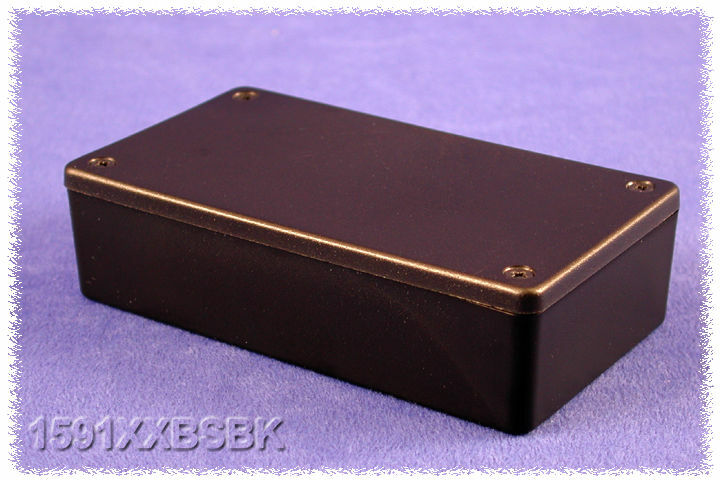 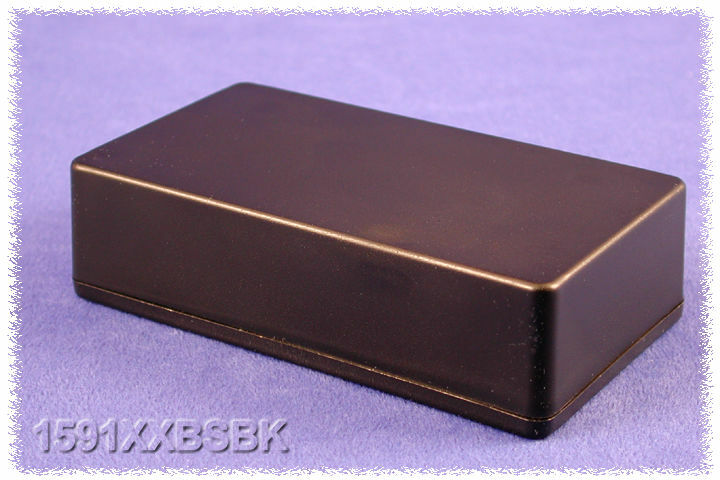 Internal sides of enclosure are smooth for easy connector installation (see photos) - except for the largest enclosure the 1591XXFSBK which is a universal type (ie...includes P.C.board standoffs in the lid and enclosure PLUS includes card guides). 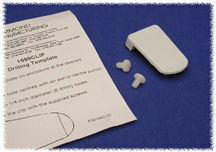 See drawing and/or photo tables for more details. 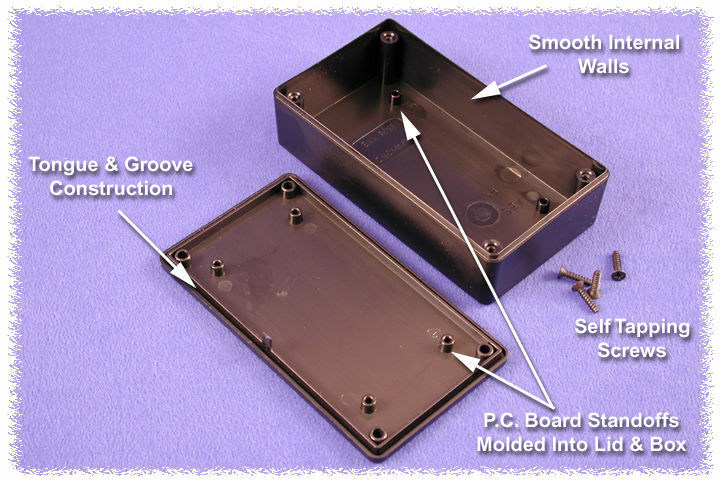 Internal construction is different for the 1591XXSFBK size (ie...includes P.C.board standoffs in the lid and enclosure PLUS includes card guides (see drawing and/or photo tables for more details).